We are thrilled to report that “Black Jack Pershing: Love and War” has been honored with an Impact DOCS Award of Excellence in this year’s international documentary feature category. The Impact DOCS judges based their decision on the documentary’s quality, creativity, and technical execution. ” These skilled filmmakers highlighted issues ranging from renewable energy to gun violence and important historical events. The judges honor them for their passion and expert filmmaking craft,” the judges said. 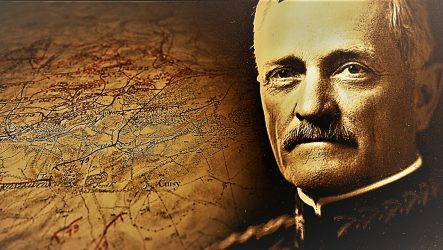 The award-winning documentary “Black Jack Pershing: Love and War,” tells the story of World War I General John J. Pershing’s life and the personal tragedy so painful Pershing could never speak of it. The Impact DOCS judges said this year’s winners represent filmmakers whose experiences range from Oscar winners to first-time filmmakers and who hail from all corners of the globe. “They (the winning filmmakers) make a – made a huge IMPACT entertaining audiences and bringing awareness to the critical issues of our times,” said Impact DOCS officials. Previous PostPrevious Reserve your free tickets now for the Aug. 2 screening of “Black Jack Pershing: Love and War,” in Kansas City, Mo. Next PostNext The Dedication: General Pershing at the Montfaucon American Monument.